Liverpool Football Club can today confirm that £59,104 has been raised for the Sean Cox appeal. The generosity of supporters at last weekend’s Cardiff fixture at Anfield raised £28,725.17 which was collected around the ground by volunteers from LFC and Spirit of Shankly. The LFC Foundation, official charity of Liverpool Football Club, has also match funded the amount raised as well as donating proceeds of £1,653.75 from the matchday fundraising lottery held at the game – taking the overall total to £59,104. 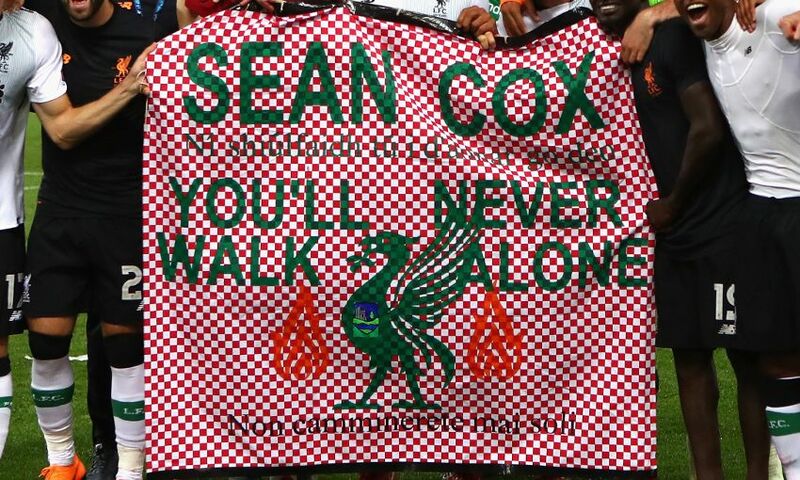 LFC would again like to thank everyone who participated in the collection, either as collectors or donors, while club officials remain in dialogue with the Cox family regarding initiatives to support them. Reds fans can still support the appeal by visiting: https://www.gofundme.com/SupportSeanCox.